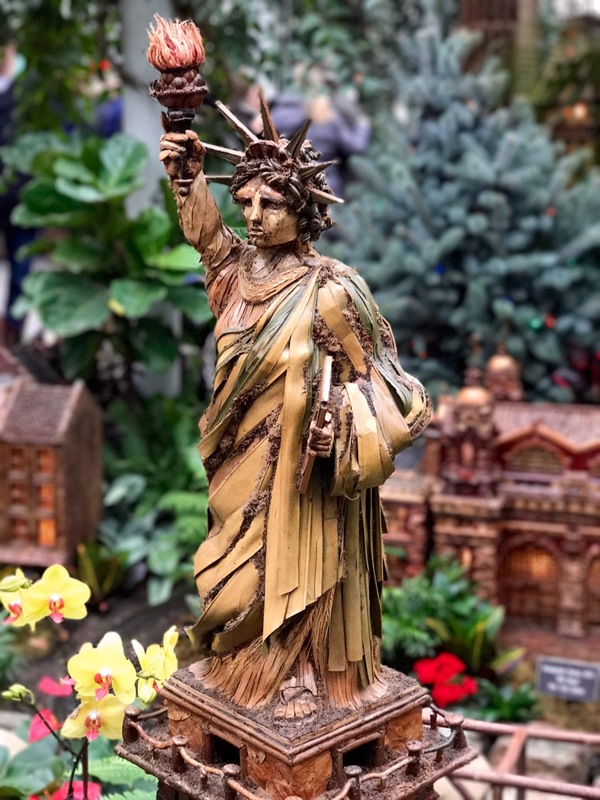 New York is magical place to be at Christmastime, with tree stands lining the sidewalks and filling the air with the woodsy smell of pine and fir, store windows decorated with enchanting displays, lights strung across avenues and intersections, European-style Christmas markets to visit, and special holiday shows and sights to take in. 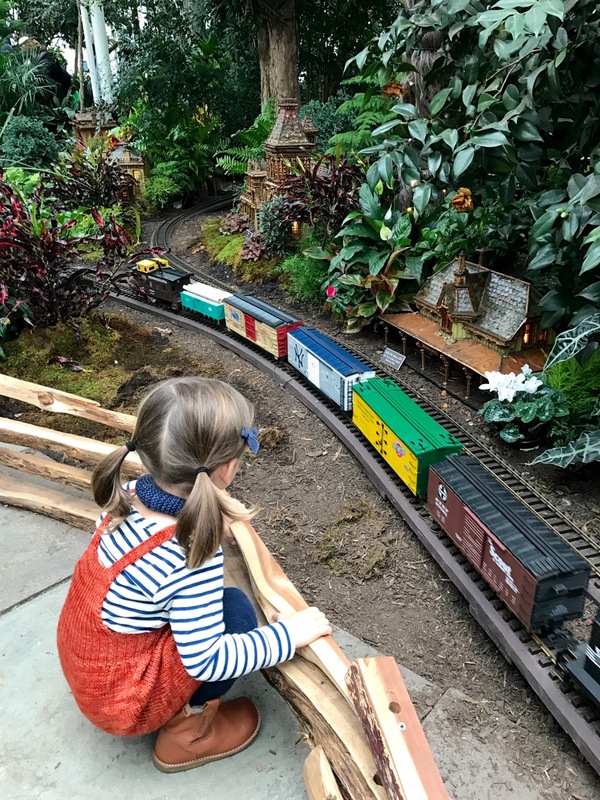 As I sat down at the end of November to plan our activity advent calendar, I added a holiday activity I’d heard about for years but never visited myself, despite rave reviews from friends – the Holiday Train Show at the New York Botanical Garden. Our tickets were arranged for this past Saturday, and though we woke to weather that switched from lovely snow to messy freezing rain, we forged ahead to the show anyway. 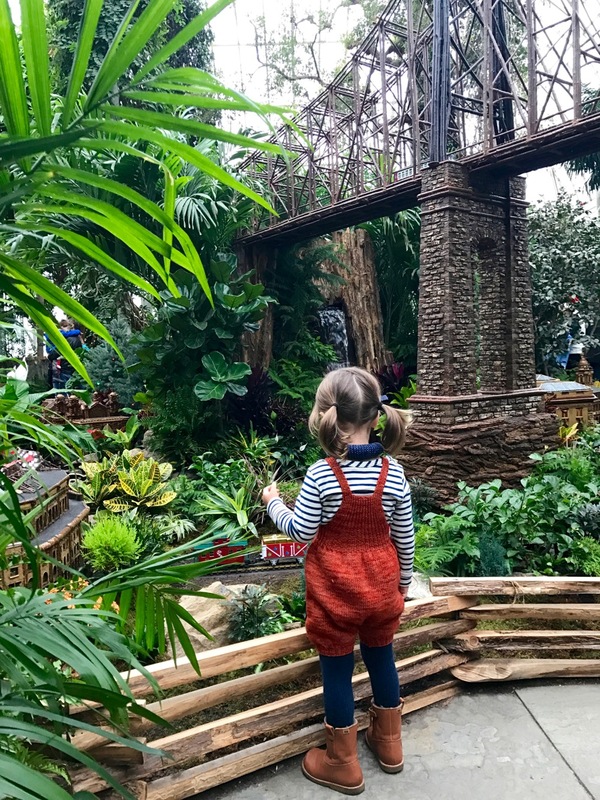 There, we were rewarded with a fantastic morning spent under the cozy glass domes of the Enid A. Haupt Conservatory, marveling at the fanciful and elaborate world constructed for the model trains among the conservatory’s plant displays. 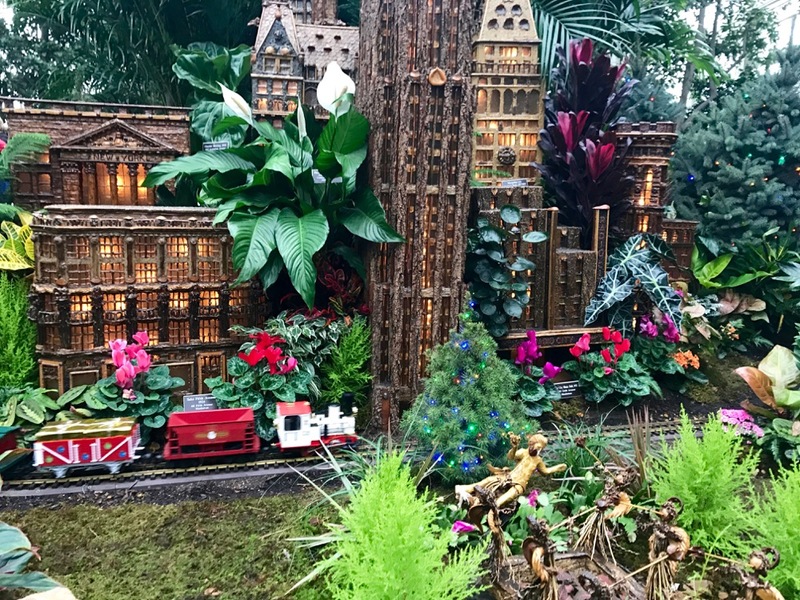 Celebrating its 25th year this winter, the Holiday Train Show is a beloved, and increasingly popular, New York holiday tradition. 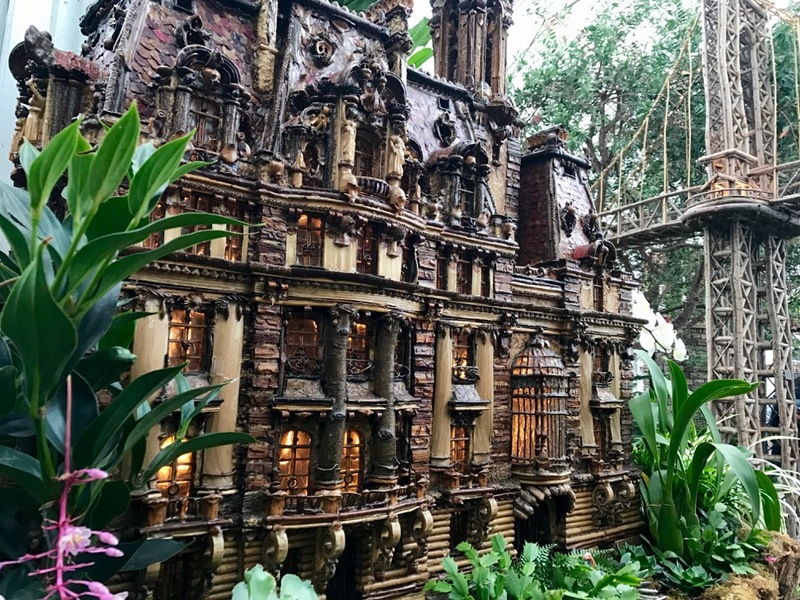 New York landmarks past and present are created to scale from leaves, twigs, berries, branches, bark, and other foraged natural materials. 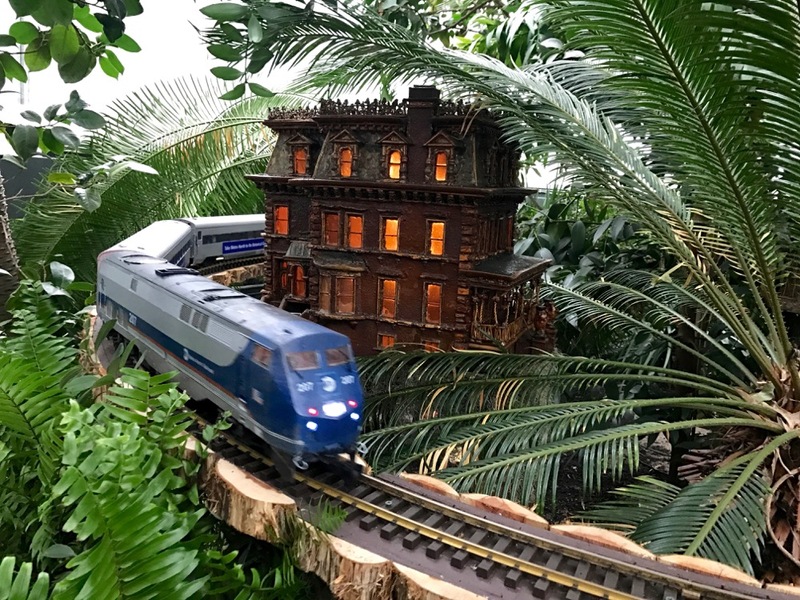 The buildings are nestled into the existing plant displays of the Conservatory, and nearly a half-mile of train tracks are threaded over and around them, through hollow logs and up along and over replicas of New York bridges that span the conservatory walkways. 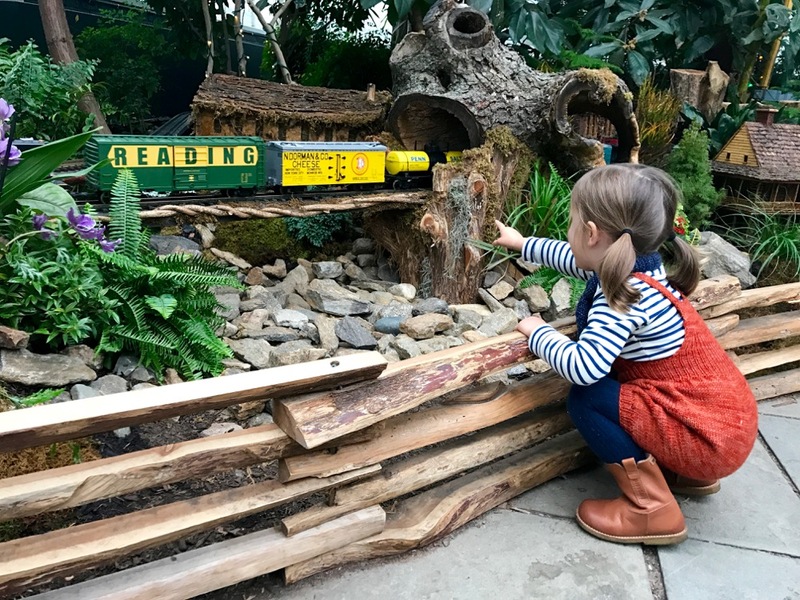 The effect is nothing short of amazing: a entire tiny world to explore and marvel over that leaves children and adults alike completely spellbound. Younger children likely won’t recognize the majority of the landmarks (the Statue of Liberty, Empire State Building, and Chrysler Building may be exceptions), but that doesn’t detract from their enjoyment at all – while they’re entranced by tracing the paths of the trains and watching each train make its circuit, adults and older children can read the labels on each building and the historical plaques scattered around the exhibit for further background on some of the structures. We spent well over an hour slowly making our way through the exhibit, nearly reaching the end before doubling back to visit favorite sections. Once we finally did reach the finale we were rewarded with our favorite display of the entire show: a tribute to the attractions and architecture of Coney Island’s amusement park, including the Wonder Wheel, the Cyclone, and the long-gone Elephantine Colossus. 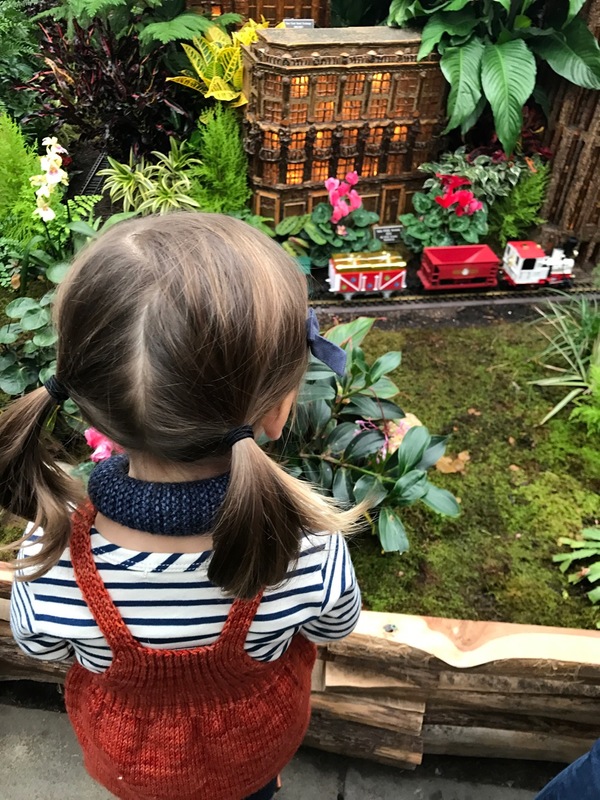 In the days since we visited, my daughter has asked to return to the train show several times – a clear indication of what a hit it was. 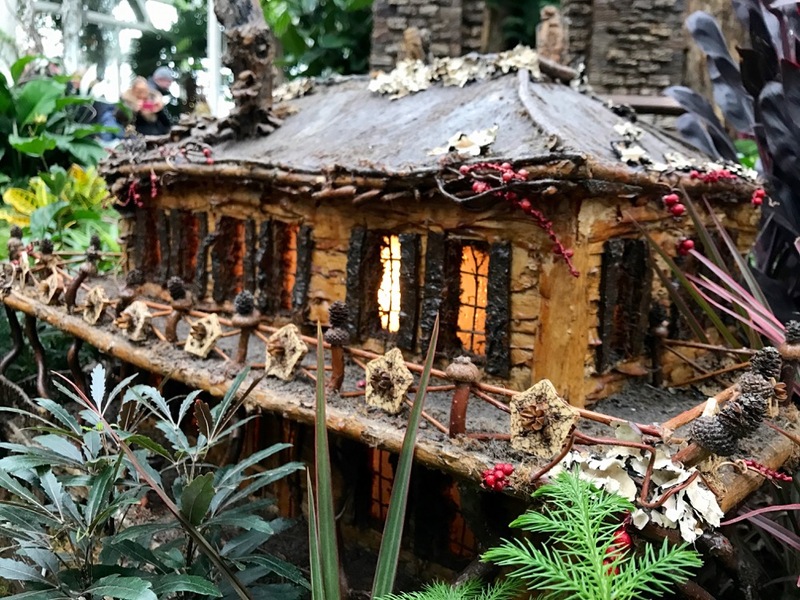 Given how much we all loved it, I know the Holiday Train Show will become a part of our annual Christmas traditions, and I can’t wait to see the additions the organizers of the exhibit dream up for next year. This year’s show runs November 19, 2016 – January 16, 2017. If you’re planning to visit you’d do well to make advance reservations, which will allow you to choose a time slot to visit the show. On the day we visited crowds weren’t insufferable because of the poor weather, but given the size of the queueing area, it looks as though waits might sometimes be quite long, making an advance reservation all the more important. Tickets can be purchased here. 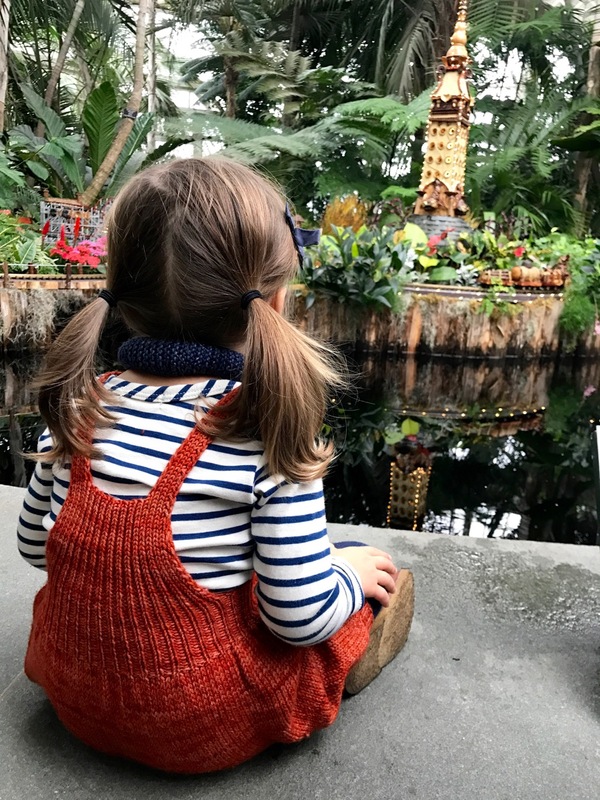 We drove to the show, but the New York Botanical Gardens are accessible by several different methods of public transit. 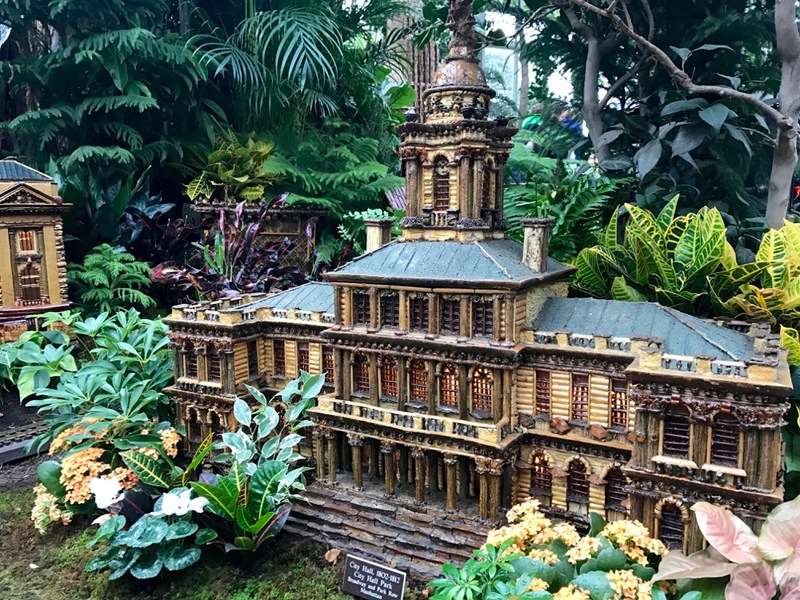 The easiest involves taking the Metro North Railroad from Grand Central Station to the Botanical Garden stop, 20 minutes away, but you can also take the subway (B, D, or 4 trains) to the Bedford Park Boulevard Station, and then either take the Bx26 bus or walk 20 minutes from the subway stop to the gardens.